KOM Consultants are the official Canadian representatives and application centre for 6 select Speech Pathology Schools in Australia. We have been carefully appointed by these 6 Australian Speech Pathology Schools to act on their behalf as your point of contact in Canada based on our first hand knowledge of their universities, programs and accreditation procedures. 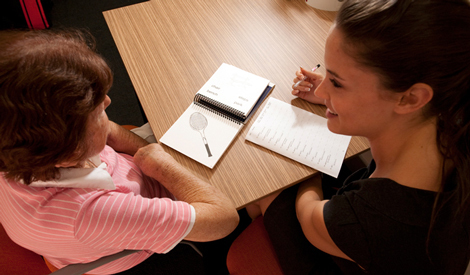 KOM support students through the entire process ensuring you have all the information required to make informed decisions on which of these Speech Pathology MSP Programs in Australia best suits your needs. Students may choose between a four-year undergraduate program or a two-year graduate program. Undergraduate program prerequisite courses vary by university although most require background in High School Biology, Chemistry and Physics/Math. Graduate Entry programs are two years in length and applicants are required to hold a relevant undergraduate degree within the similar discipline. Postgraduate programs may require a telephone interview and/or a supplementary application. Speech Pathologists are regulated by their professional licensing body. It is the responsibility of the student intending to practice as a Speech Pathologist in Canada to refer to the Canadian Association of Speech-Language Pathologists and Audiologists. All students interested in Speech Pathology should contact KOM Consultants for full details on application processes.